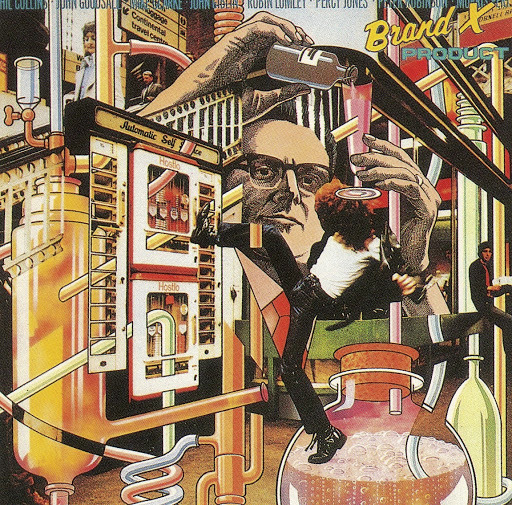 Song of the day: Brand X – "Don’t Make Waves"
1. It has Phil Collins doing what Phil Collins always did best: play drums. Brand X was Phil’s spare-time band when he had a break from Genesis duties, and before he went on to become a derided staple of FM radio stations everywhere (except maybe Ulan Bantor… maybe). And Phil Collins is a great drummer. Always has been. Oh, and Phil is singing on this track, too – but you didn’t need me to tell you that, because you’ll recognize him the instant he opens his mouth on the recording (anyone can pick that voice a mile kilometer away). 2. It has very frisky bass playing on it (courtesy of John Giblin), especially near the end. 4. It has another jangly drone at 4:13. You are currently browsing the archives for the Brand X category.